1 Hanson, George Adolphus, Old Kent: The Eastern Shore of Maryland; Notes Illustrative of the Most Ancient Records of Kent County, Maryland . . ., Baltimore: John P. Des Forges (1876), 276, 280, 283, Google Books (Digital Library). 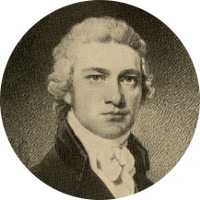 2 Wikipedia, "Charles Goldsborough", (accessed 08/23/2017).